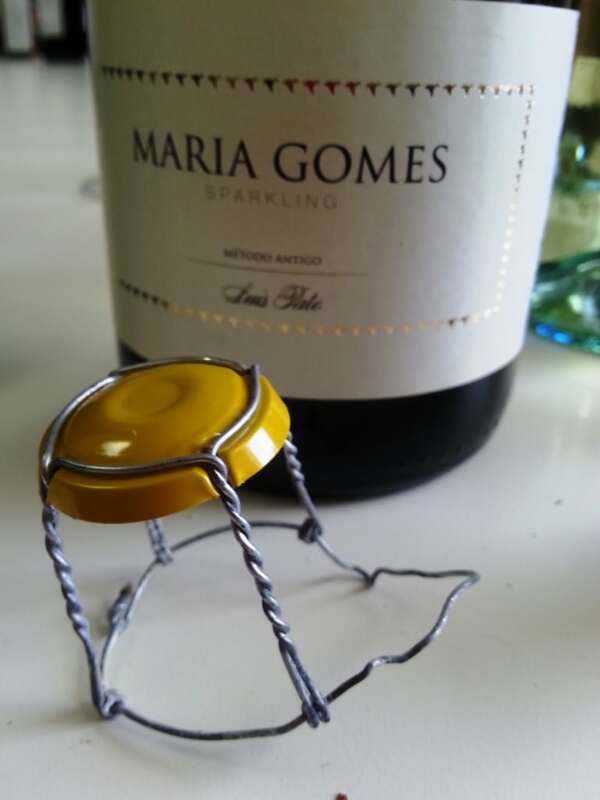 On Monday my post looked at a new online retailer focused on Portuguese Wines. 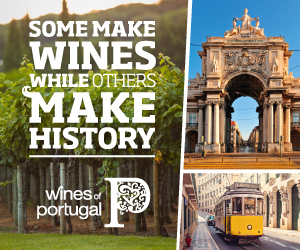 The Wine Society has been around for rather longer – 140 years to be precise, moreover owes its origins to Portuguese wines. 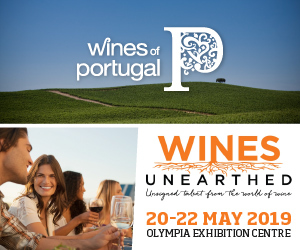 So perhaps not so surprising that it has bagged a slew of awards for its Portuguese wines and deservedly so. 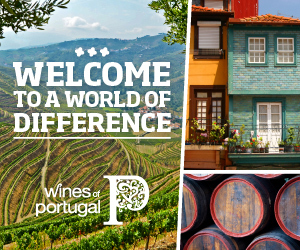 Not only is its range (complete with useful Portuguese wine buying guide) very extensive, especially when taken together with their regular offers, it’s adventurous too in marked contrast with most national retailers’ Portuguese listings. 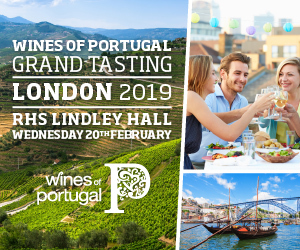 I popped up last month to take a look at a selection of wines from The Wine Society’s current Portuguese range and upcoming offer of Luis Pato wines. You’ll find my highlights below together with three other stars from the range which were recently presented to me by leading sommeliers. 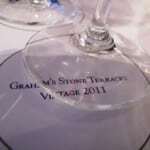 Click here for my notes on 20 great Australian wines tasted the same day. 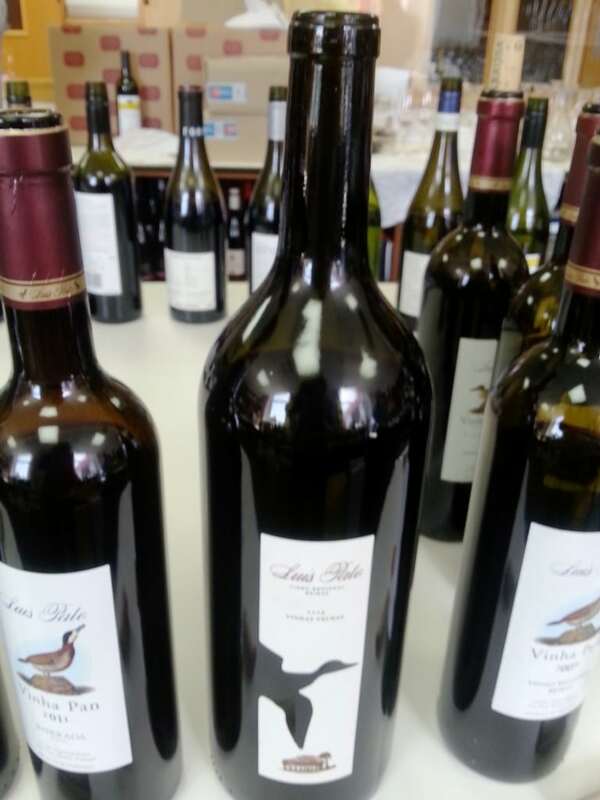 This wine rocked (no pun intended!) the sommeliers I took out to Portugal in May. It’s a very accomplished, beautifully textured pure and poised expression of Encruzado. Very well done in a modern style with a gently resinous note and warm cedary spiciness, to it core of perfumed pear fruit.13.5% price tbc. I first tasted this top barrel-fermented and aged Alvarinho in 2012 when it was a baby, a cask sample. 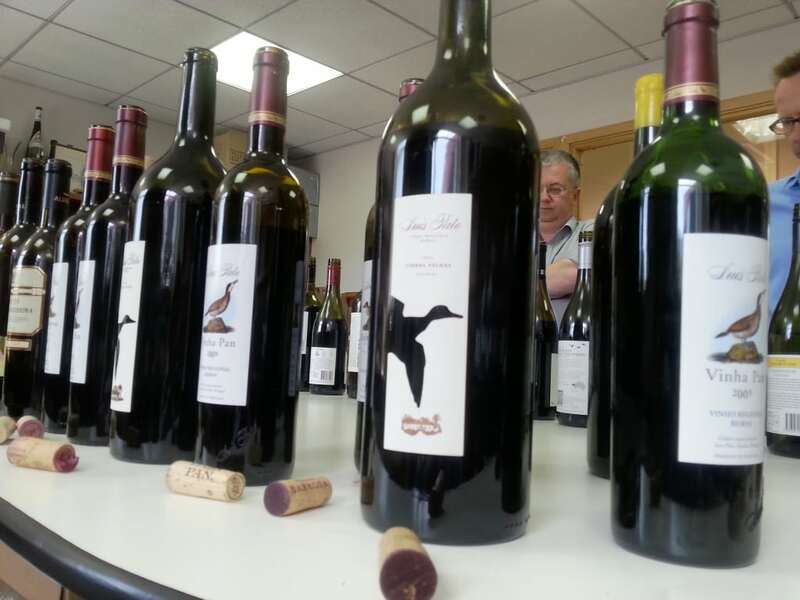 It, together with the 2009 vintage, provided a suitably wonderful finale to an extensive, exceptional vertical tasting of Anselmo Mendes’ Vinho Verdes. 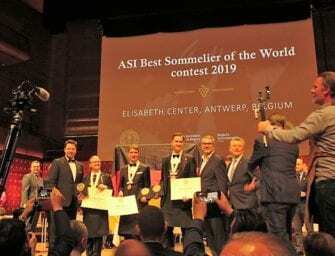 So I wasn’t surprised to learn that it had similarly piqued (peaked even) the palate of Igor Sotric, Head Sommelier at China Tang at The Dorchester. 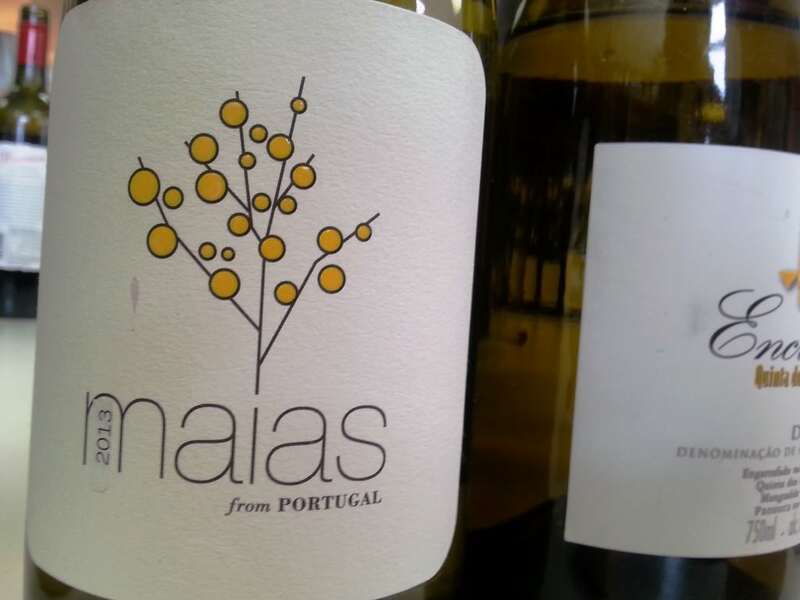 Sotric presented it as one of his picks of his Wine Quest visit to Portugal’s north and, it has to be said, Alvarinho is a great match for shellfish dim sum. I’d pair this powerful wine with lobster. Mineral and tight on the nose it revealed a superbly tangy yet poised melange of sweet tangerine and honeysuckle with steelier, spicier grapefruit/grapefruit pith on the palate, the whole brilliantly teased out by very persistent mineral acidity. From a single elevated parcel at 205m which produces Mendes’ best Alvarinho grapes, it was fermented and aged in 400l French oak barrels on full lees for nine months with battonage. £29 – expensive for Vinho Vinho but forget the label and just compare this beauty with other top white wines from around the world. 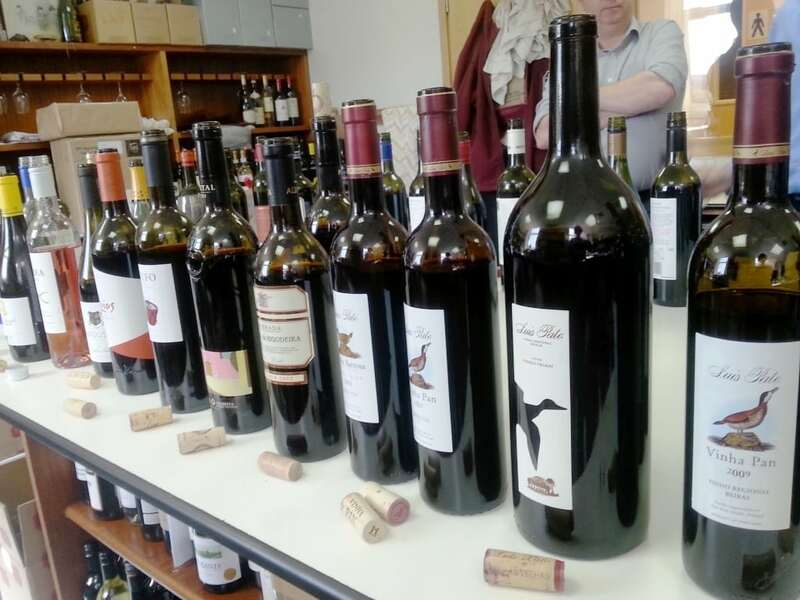 As readers will know from my extensive report of 2011 Douro red wines and my review of 2011 Vintage Ports it was a terrific year for wine and Port both, so no surprises to learn that the society’s first Exhibition Douro red is from 2011. 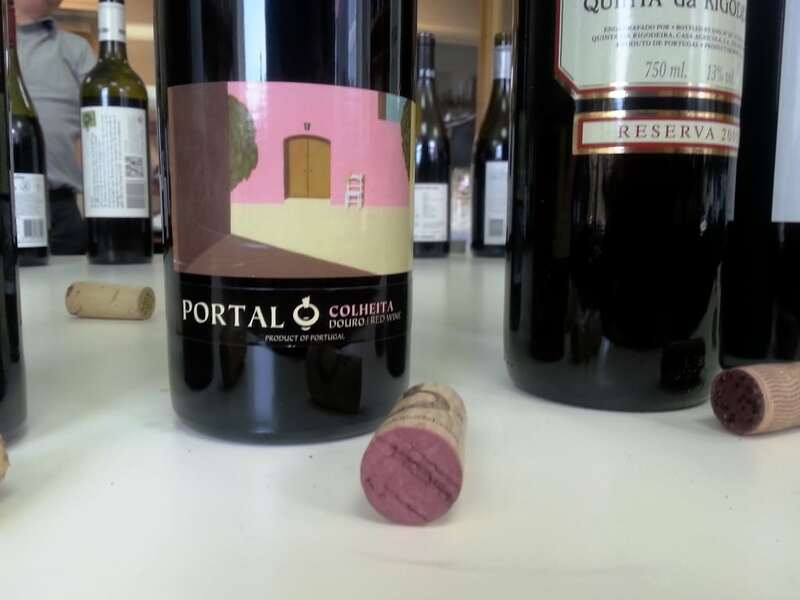 Made by F Olzabal & Filhos of Quinta do Vale Meão it’s not yet ready for release but a sneak preview suggests members have a treat in store. Meantime Rufo, made by another Douro Boy (Cristiano van Zeller) is a classy entry level Douro red. 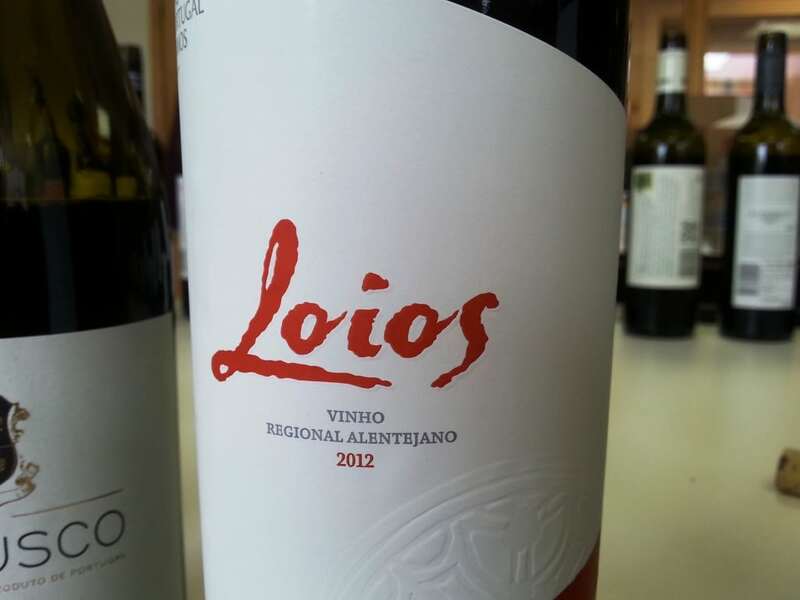 It has chocolate-edged juicy red and black berries, schistous minerality and perky acidity. Well done. 14% £8.95. With its iodine/oyster shell notes and underlying fresh acidity this single estate Baga offers an insight into how the region’s premier traditional red grape matures. It lacks a bit of concentration, clarity and finesse but, at this price, it’s an interesting ready–to-go rustic Baga . 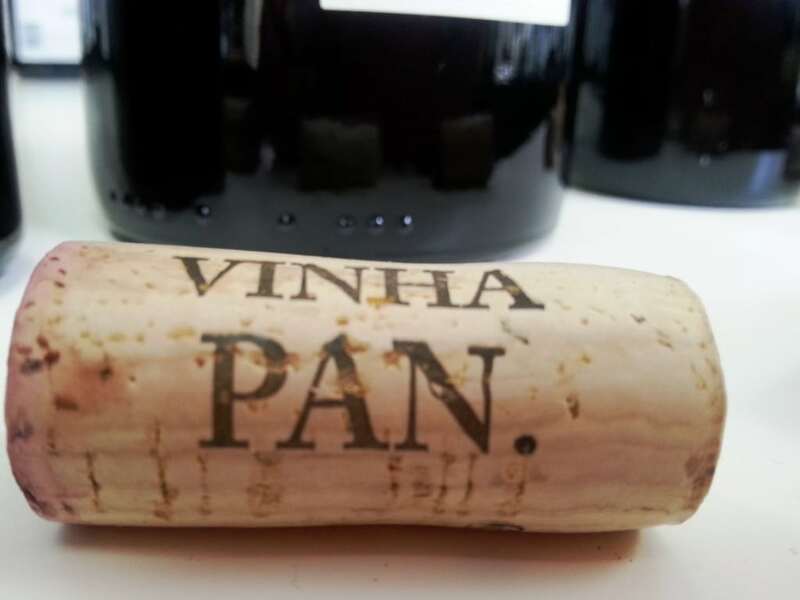 If you want to see a really great, highly polished expression of this excellent vintage you’ll have to pay a bit more than double (and then double it again because Luis Pato Vinhas Velhas is only available in magnum). If you can afford it it’s worth it – anyway, I’m buying some! Quinta da Rigodeira is 13% and priced at £8.95. 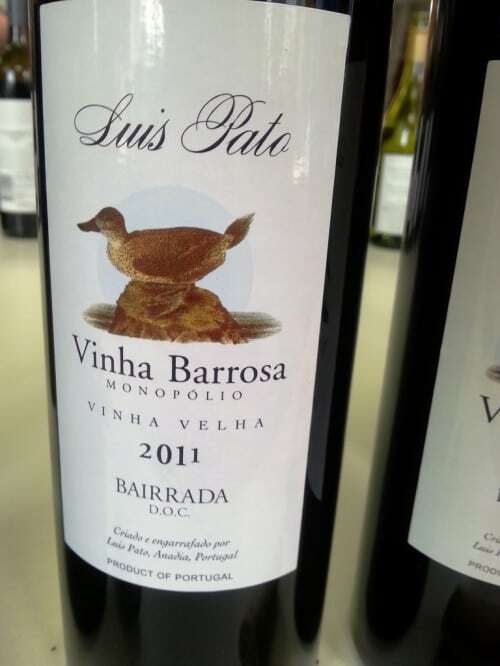 Luis Pato’s daughter has inherited the Baga-loving gene and has a delicate touch with the variety; 2011 was an excellent vintage. This suave-tannined, sweet-fruit-scented Baga has a great charge of very pure, very vibrant red and black berry currant and cherry fruit and ample, mineral-sluiced acidity which carries a long, uber-persistent, very fine finish. 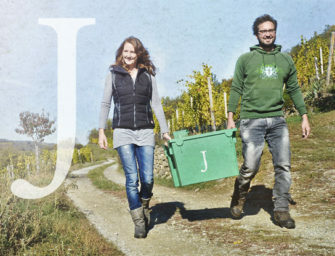 Wonderful freshness and definition with the (fruit not oak-derived) sucrosity of a great year. 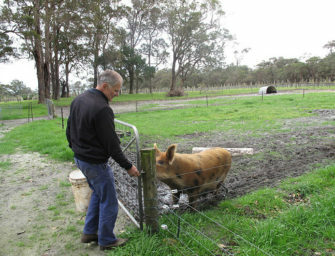 Broachable now but will deliver lots more pleasure through the medium and long term. Made from vines averaging 80 years old on chalky clay soil, Nossa was part fermented in open oak casks and partly in wooden lagars (Roman style) with 20% stems. 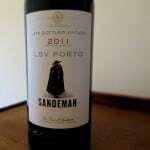 It was aged in 500l French oak barrels (30% new) which it wears very lightly. 13% abv. 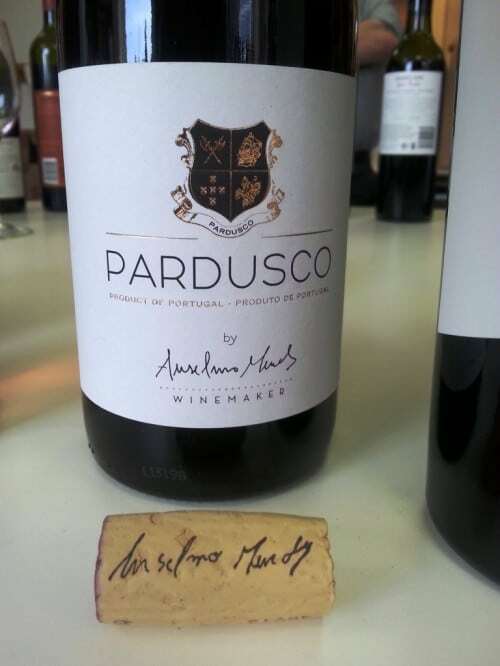 Sharply priced at £25 and selected by Gus Gluck of Portugal friendly Vinoteca as one of two wines of his visit to central Portuguese regions. The Baga fan’s other pick was Luis Pato’s Quinta do Moinho 2001. Oh yes, Baga ages so well. I’m a huge fan of ultra-moreish Moscatel de Setúbal fortifieds. This isn’t the most sophisticated example (the best have beautiful florality and freshness) but what it lacks in lift, structure and concentration it makes up for in its deliciously mellow nutty round, mint-toffo’ed palate and musky Turkish delight overtones. Once you’ve popped this stoppered wine, you’re unlikely to stop. 17.5% It’s about to hit the list at a very reasonable opening price of £8.50.